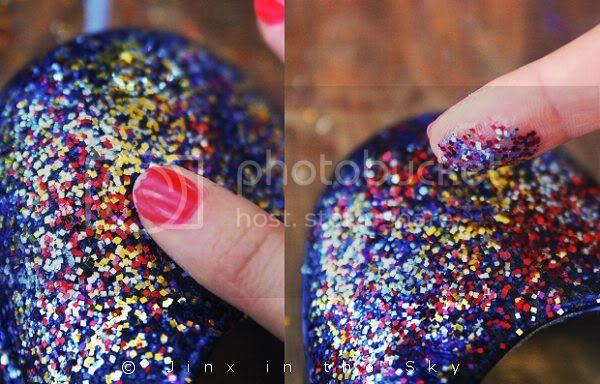 How to make your own GLITTER SHOES! 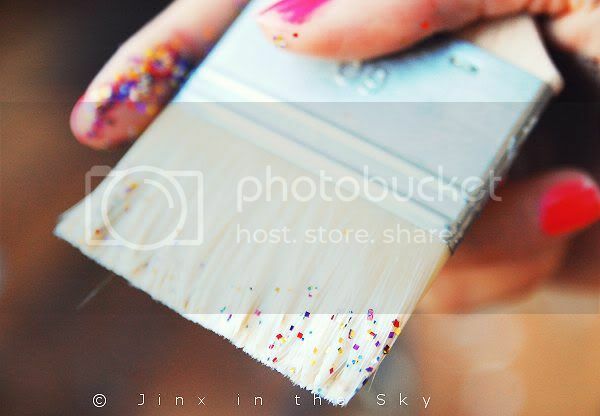 once it will be dry before you get your glitter there). 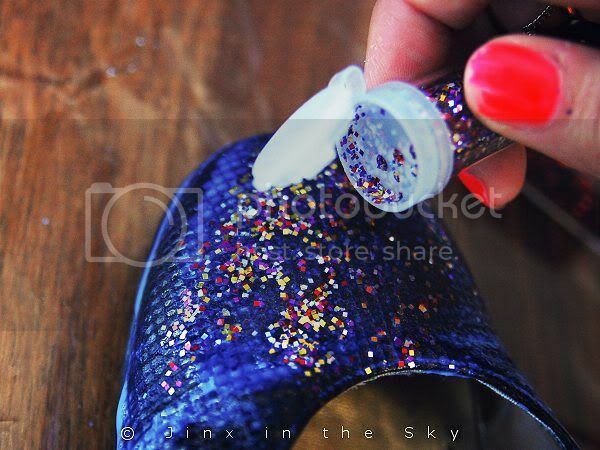 Shake glitter onto the wet varnish (it looks white while wet but dries transparent). 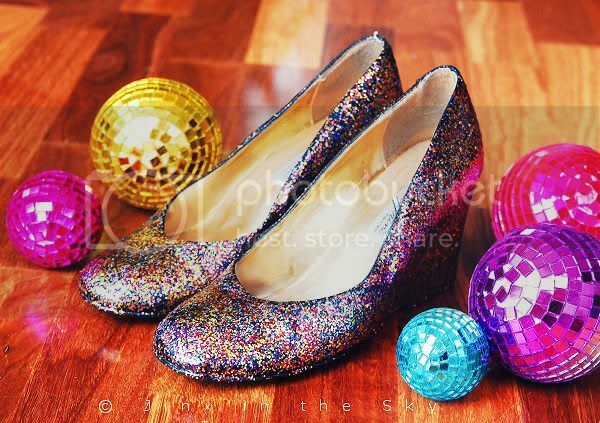 Pat down with fingertip so the glitter partikels all sit flat. 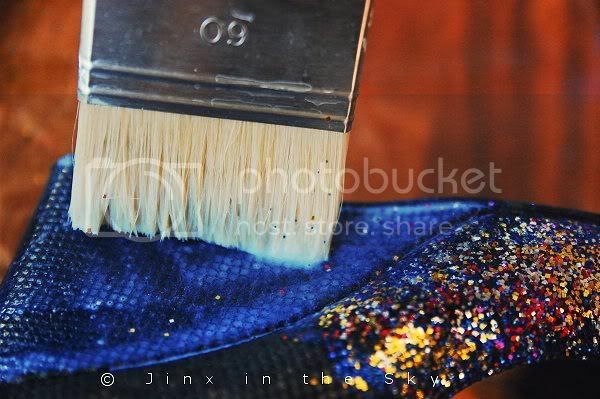 Paint the next section and beglitter like before. 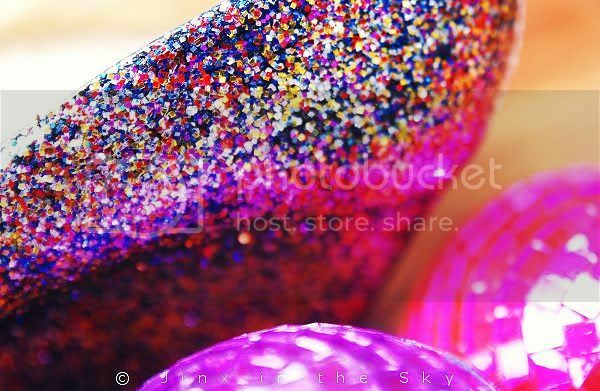 This is what mine looked like after the first layer of varnish and glitter. I let it dry for a few hours before the next layer. 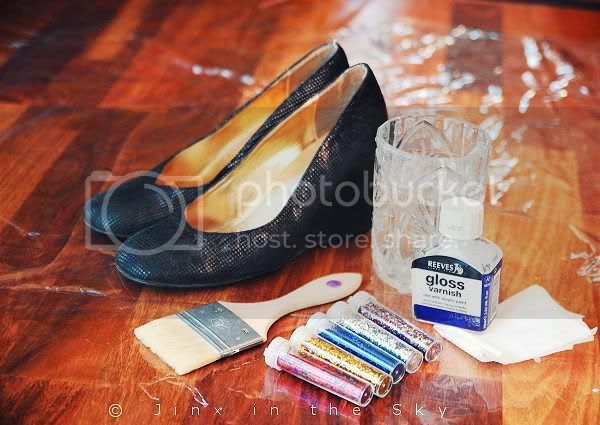 ...so clean it in warm water and pat dry with tissues so it's semi dry before your next layer. 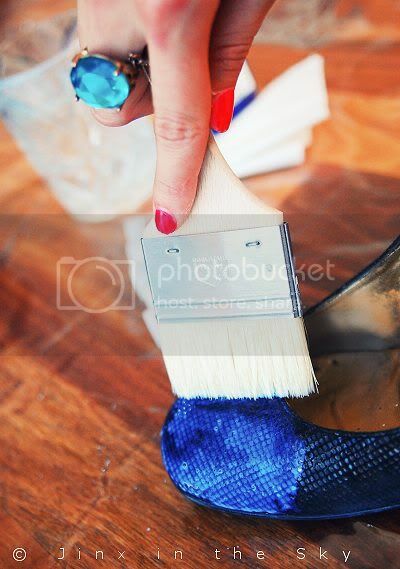 When your shoes are dry apply the next layer of varnish and glitter (again section by section). After the second layer mine looked like this. 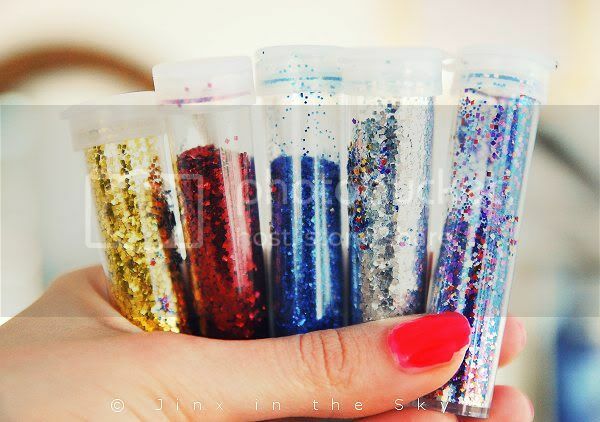 More density of the glitter! 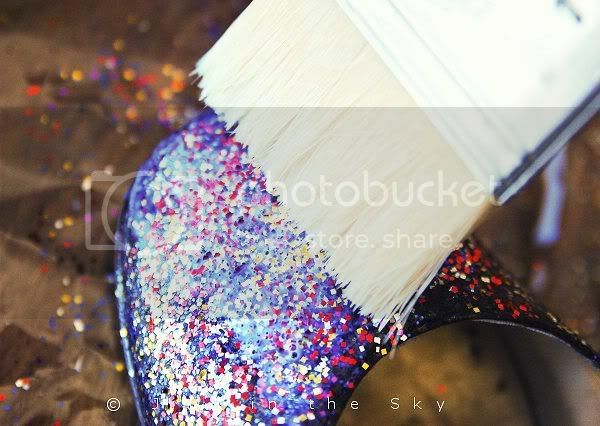 Surprisingly it didnt use up as much glitter as I thought. Barely a quarter missing of each colour! 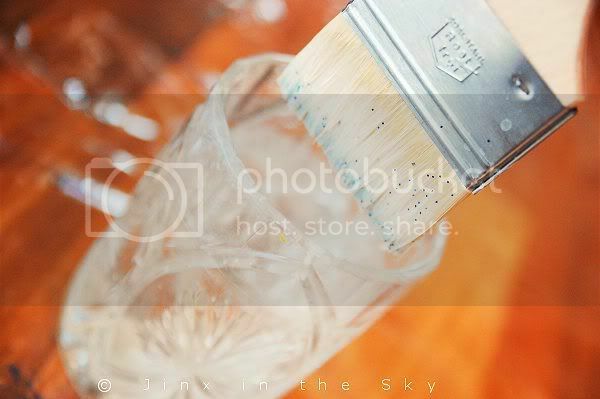 All of the varnish is gone though.